Margaret Oates Creasey, age 88, of Princeton, passed away on Wednesday, March 13, 2019 at Caldwell Medical Center. 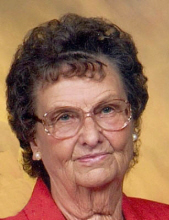 She was a farmer, homemaker and charter member of Sugar Creek Baptist Church. Survivors include two daughters, Kathy Creasey of Princeton, Gayla Thompson and husband, Butch of Crofton; son, Gary Creasey and wife, Betty of Princeton; seven grandchildren, Cresta Woford and husband, George of Princeton, Bobbi Jo Butts and husband, William of Fredonia, Ben Mitchell and wife, Janice of Lyon County, Kathy Jo Sample and husband, Trent of Princeton, Mark Mitchell and wife, Amanda of Graham, Debra Jo Groves and husband, Gary of Princeton, Carla Harper and husband, Clay of Caldwell County; thirteen great-grandchildren, Brice Lockhart, Kaycee Woford, Makenney Groves, Peyton Lipe, Josh Mitchell, Lindey Lipe, Clayton Woford, Michaelyn Sample, Camden Woford, Xander Sample, Lukas Harper, Ella Jackson, Laynee Harper; several step-great-grandchildren; several nieces and nephews; seven caregivers, Barbara Gilkey, Wanda Clark, Velda Johnson, Sheila Gillespie, Carolyn Canada, Brenda Bennett, Linda Cotton. Margaret was preceded by her husband, James Sherman Creasey; parents, George and Oscar Capps Oates; two sisters, Christine Sisk, Pauline Gray; one brother, James Donald Oates. Visitation will be held on Friday, March 15, 2019 from 5:00 PM to 8:00 PM at Morgan's Funeral Home. Funeral services will be held on Saturday, March 16, 2019 at 11:00 AM with Bro. Jerry Holeman officiating and burial to follow in Sugar Creek Church Cemetery. To send flowers or a remembrance gift to the family of Margaret Oates Creasey, please visit our Tribute Store. "Email Address" would like to share the life celebration of Margaret Oates Creasey. Click on the "link" to go to share a favorite memory or leave a condolence message for the family.